Springtime has brought the return of mosquitoes to most areas of the United States, and with it rising concerns about the Zika virus. The virus is mainly transmitted by mosquitoes, so avoiding mosquitoes improves your chances of avoiding the virus. It's of special concern to pregnant women because the virus has been linked to a severe birth defect called microcephaly. Orkin is a nationwide pest control firm, which monitors mosquito populations in all the markets it serves. The company has issued a list of the top 50 U.S. cities for mosquitoes. Tropical southern cities like New Orleans, Houston, and Miami are not at the top of the list. Atlanta, Washington D.C., and Chicago are. In fact, Miami doesn't show up until the number five spot on the list while Houston is number seven. Meanwhile, unlikely mosquito hangouts like Detroit, Dallas, and Charlotte are among the top 10. Orkin entomologist, Mark Beavers says mosquitoes remain a public health threat, especially where they are found in large numbers. "Zika virus is currently one of the most notable illnesses that can be spread by mosquitoes, and it will likely be a problem again this year, especially in areas where the type of mosquito that can carry the virus thrives," Beavers said. You can check out Orkin's top 50 cities for mosquitoes here. The best way to reduce the odds of a mosquito bite is not to attract mosquitoes in the first place. That means there should be no standing water on your property. If you have bird baths or fountains, change the water in them weekly. Keep your gutters clean so that water doesn't collect and pool. Keep shrubbery trimmed since mosquitoes are attracted to dark, humid areas. When you're outdoors, wear loose fitting long-sleeve shirts and long pants. 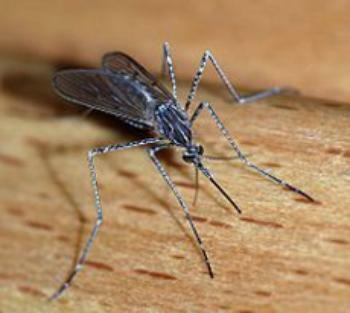 Mosquitoes are able to bite through tight-fitting fabric. Use an EPA-registered mosquito repellent containing active ingredients like DEET, picaridin or IR3535. Because of its size and warm climate, Texas is ripe for mosquito concentrations. Last year the state reported more than 300 cases of the Zika virus. Dr. Peter Hotez, dean of the National School of Tropical Medicine at Baylor College of Medicine, says there are serious concerns about the virus returning to the state this spring and summer. He says women who live in these areas should talk to their obstetrician about the best protective measures for this spring and summer.